Kelly was placed at AIM Academy in Conshohocken in March 2017. She works there every school day helping kids with many different tasks related to learning. She helps in occupational therapy sessions where she assists students working on such skills as mindfulness, core strength, and sequencing. She also aids in speech pathology sessions where she helps students gain confidence while reading and practicing skills related to writing and language. 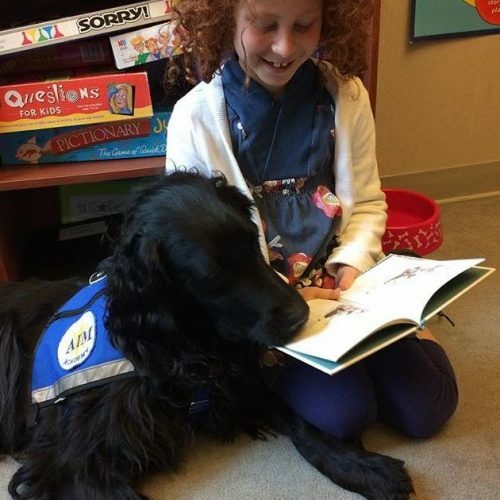 In addition, she provides an overall calming presence to students at the school. Whether it’s test anxiety, reading shyness, or the college application process, she is there as a resource to encourage and empower the fearless learners of AIM Academy.